The Pitch: New Jack Country. Or just some half-hearted fantasy mings? They’ve really not skimped when setting the budget. But now Bryan Singer’s got more than old beans. Jack turns out to be thieving pig. And heads for the giants to find the king’s daughter. The characters weak and the tale never quite clicks. There’s not much of anything for your enjoying. But story wise never surpasses just bitty. He should stay; for his Jack I just don’t care. Why see it in the cinema: The last act is certainly epic – more epic than the first two, anyway – although it feels as if more happens than actually does at times. But certainly the cinema is the best place to appreciate the spectacle, one of the few saving graces. Why see it in 3D: It does ensure that the tiny characters look far away on occasion, helping to add to the effect, but movies from the LOTR trilogy to Honey I Shrunk The Kids have managed without 3D, and despite being shot in the format there’s very little to require you to pay the premium for the indoor sunglasses. Speaking of which, there’s also been little done to address the brightness issues so some sequences, such as Jack’s cabin, look murkier than a giant’s underpants on wash day. What about the rating: Rated 12A for moderate fantasy violence and threat. 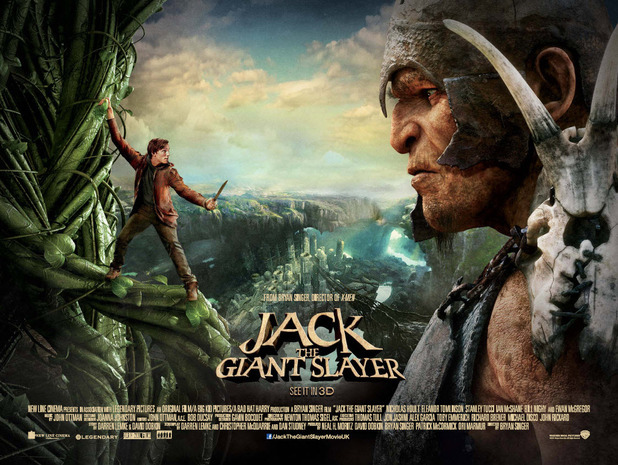 That may be the biggest flaw in Jack The Giant Killer, for the moments that justify that rating are few and far between, and you can’t help but think this would have worked better with a lighter tone and a pitch for the upper end of the PG market. My cinema experience: A sparse Saturday tea-time crowd, but thankfully sound and projection were both decent. No one hung around when the credits rolled. The Corridor Of Uncertainty: As is often the case with a 3D release, an extra trailer with a dog reminding you to put on 3D glasses bumped the running time up that bit further, so it was 26 minutes before Jack started slaying giants. This entry was posted in Reviews and tagged 2013, Ewan McGregor, film, Ian McShane, Jack The Giant Slayer, movies, Nicholas Hoult, review, Stanley Tucci. It’s a fun movie and if that’s what you go in expecting, then you’re going to be happy. At least that’s what I went in feeling like. Good review.